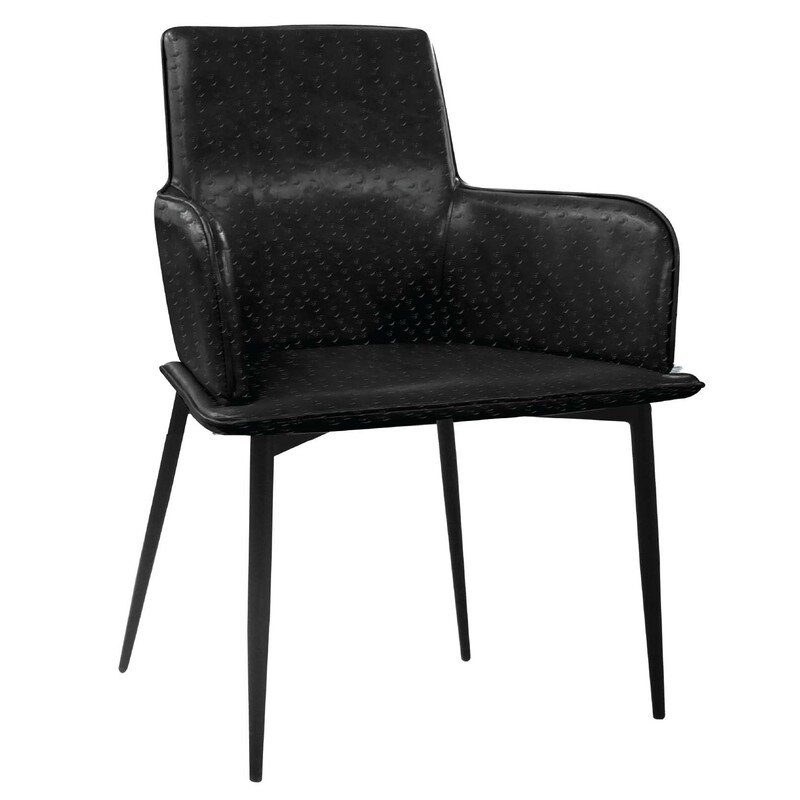 If you like modern design interiors, this arm chair will surely appeal to you! Solid steel construction complimented by a comfortable seat covered with faux leather upholstery. The quality and richness of its component materials, both for the body and the base, make it particularly elegant and sophisticated. It's the epitomy of comfort and style. 23" x 25" x 34"